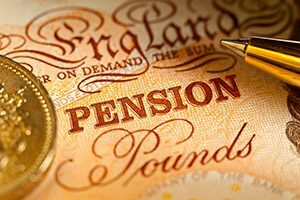 The new pension freedoms are under way and the changes are fundamental and far-reaching. With so many aspects of retirement planning changing so dramatically, it’s important to get to grips with the rules before making any decisions. The advice you take now could have a major effect on your standard of living throughout your retirement. The new rules give us all far more choice than we have been used to. But choice can be difficult to exercise wisely if you don’t have a thorough understanding of the various options available to you. Many people will understandably feel totally unprepared for the decisions they need to make. The Chancellor, George Osborne, foresaw the need for advice when announcing the changes in 2014, but has since had to downgrade what is on offer for those facing retirement from ‘advice’ to ‘guidance’. Whilst the face-to-face guidance that is offered by the Citizens Advice Bureau, telephone support provided by the Pensions Advisory Service and information available online is a start, guidance isn’t the same as in-depth advice. Everyone will be free to raid their pension savings and spend the lot on top-end sports cars or a luxury cruise, although they may face a hefty tax bill if they do. Without proper advice, some people may inadvertently take too much cash at the outset, leaving themselves potentially short of resources later in life. Proper planning will ensure that cash is available over the ensuing years and tax is kept to a minimum. Although no-one will be forced to take an annuity (using a capital sum from their pension pot to buy an income for life) for many, wanting to secure a portion of their income to cover living expenses, they may still be a viable option. As we all have a tendency to underestimate how long we’ll live and how much our later years may drain our finances in care and nursing costs, annuities may still form part of a retirement plan. It pays to consult an expert who has researched the marketplace and knows what products are available from the various providers. They can work with you to develop a plan for your retirement that encompasses all your assets, not just your pension. They can explain the steps you need to take with regard to accessing lump sums or drawing down income and the future implications of the decisions you make. The advice they provide will be on offer in the future too, so that if your circumstances change, then whatever flexible elements they built into your retirement plan can adjust to fit your changed financial needs.